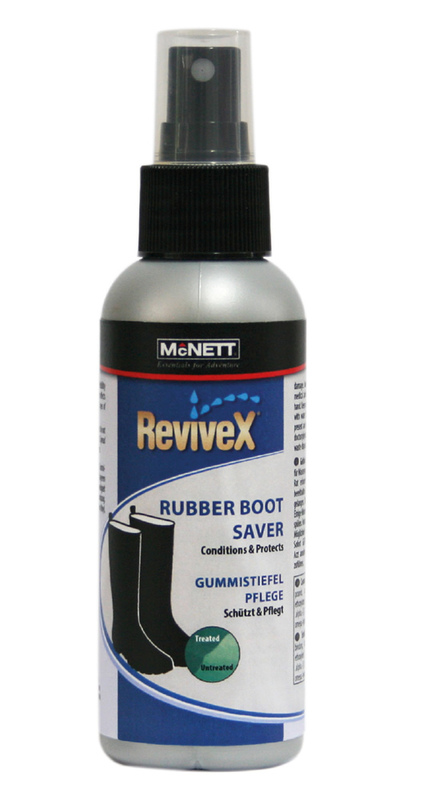 ReviveX® Rubber Boot Saver maintains the ‘like new’ look and helps preserve flexibility and colour. ReviveX protects against the degrading effects of the sun. Rubber Boot Saver is also ideal for all types of vinyl, Hypalon, latex, plastics and nylon.